Remains of these Mammoths have been discovered across these regions. Usually these are bones, teeth, & tusks. 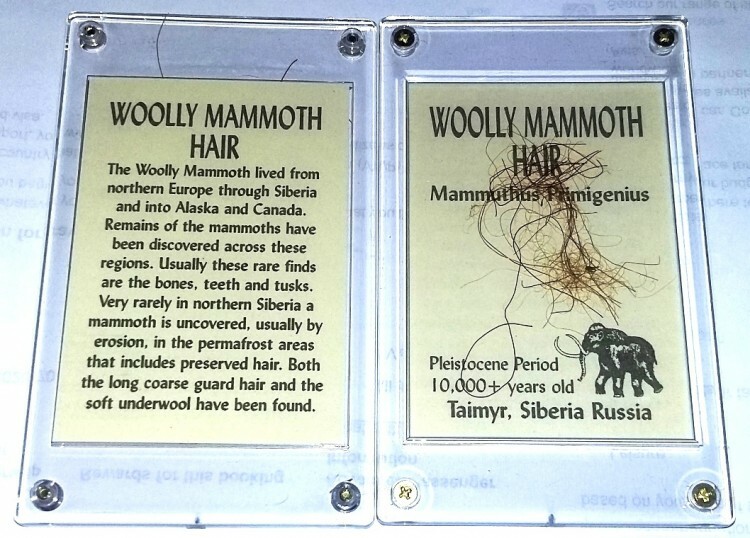 Very rarely, in Northern Siberia, a Mammoth is uncovered, usually by erosion in the permafrost areas, that includes preserved hair. Both the long, coarse guard hair, and the soft underwool have been found.